Back in September I got a little obsessed with re-fashioning men's button down shirts for The Refashioners. I completed 6 shirt refashions during the challenge, yet somehow didn't get burnt out. 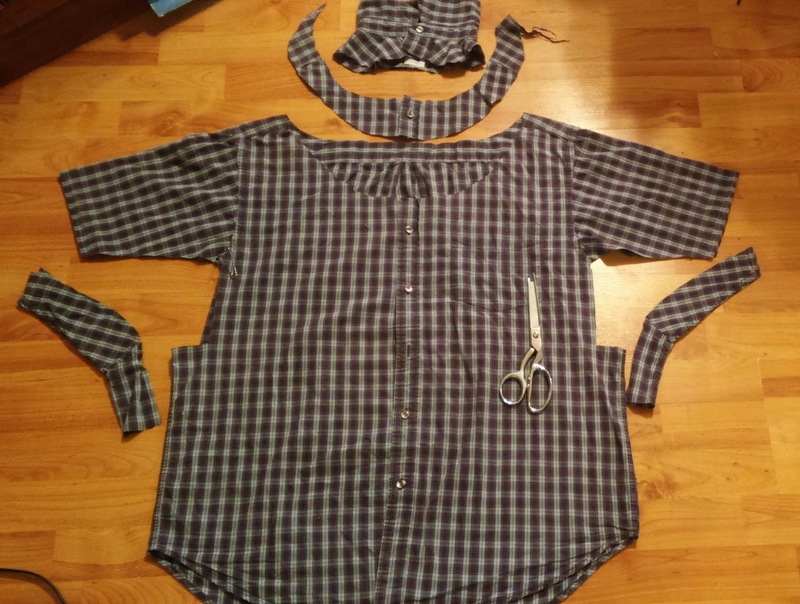 Once the challenge ended I still had a few more shirt refashion ideas up my sleeve. 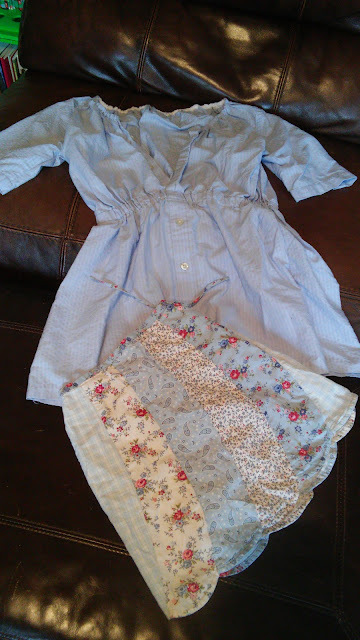 First off, my mom wanted a tunic like this one I made for my sister. So I found this XL, blue, button down shirt, and got to work. 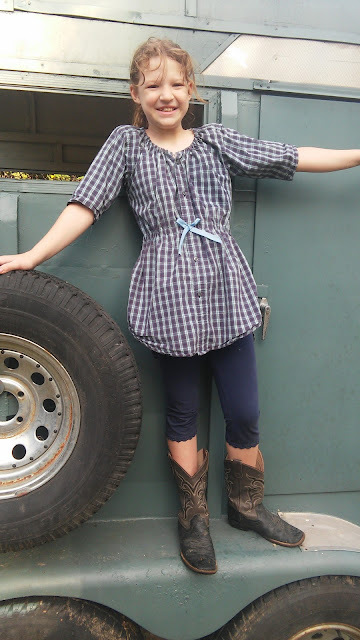 This shirt to tunic refashion is really easy, it only takes about an hour. 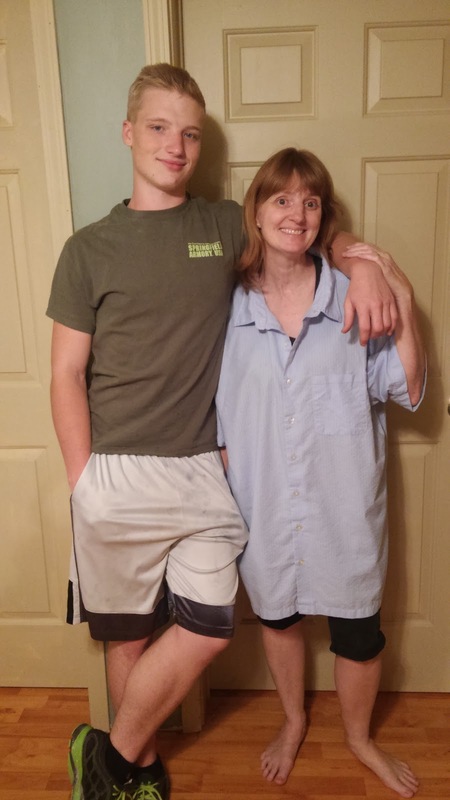 Before long my mom had a tunic, but it was a little plain. She wanted some embellishment. She found a cute, but out grown, skirt of my sister's, and asked me if I could use the skirt to embellish the the tunic. 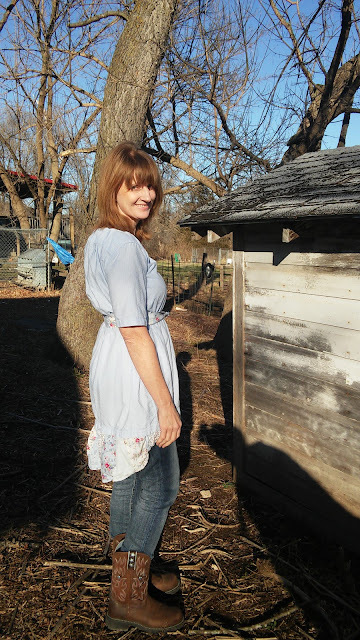 I turned the skirt into a ruffle at the bottom of the tunic. The remaining skirt fabric became a belt. I have made three different tunics like this, with different embellishments on each. 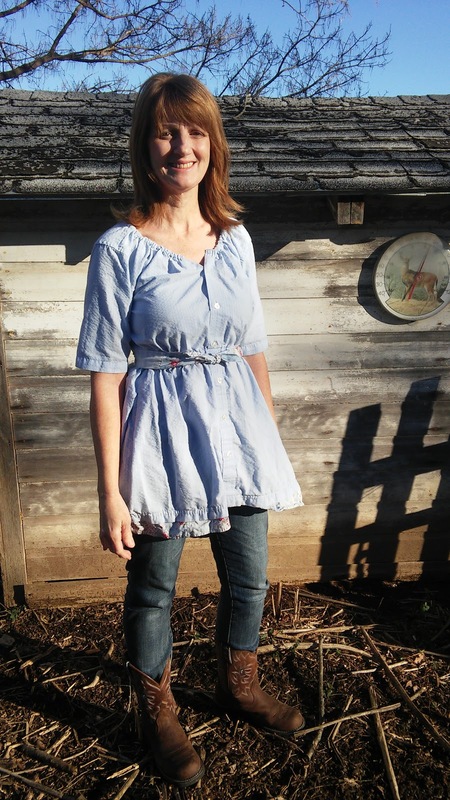 This easy shirt to tunic refashion is perfect for adding your own personal flair too! Check out my original blog posts on these tunics to see how they go together, and a couple variations I've made. What a great sister and daughter you are! So thoughtful and sweet. I might have to try this refashion because my husband has a ton of button down shirts that he doesn't wear anymore. Thanks for the idea. Hi I have only just found this bog I have been looking around for refashion ideas for things. 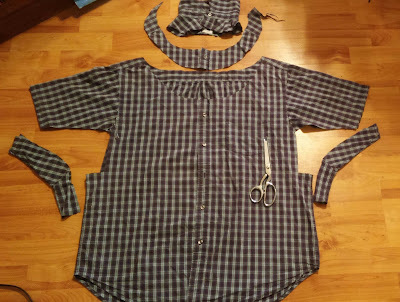 I bought a mans shirt a few weeks ago from a charity shop to have a go at refashioning but have not found any tutorials as yet I like. I love your Mums tunic top you made her the ruffle addition just makes it look great and your sisters top is lovely. I am now of over to check out your others. Great job by the way and I think I am going to love this blog x.